French is, of course, associated with France but that’s not where most of its speakers live. According to a 2007 report by the Organisation Internationale de la Francophonie, an estimated 115 million Africans, spread across 31 Francophone countries like Algeria, Niger, Chad, and Senegal speak it as either a first or second language. As the church in Africa grows, so too does the need to provide believers with the discipleship tools they need to thrive. French Treasures is an effort to meet this need. It contains Bibles in audio and video format as well as a host of other useful resources like books and audio teachings. 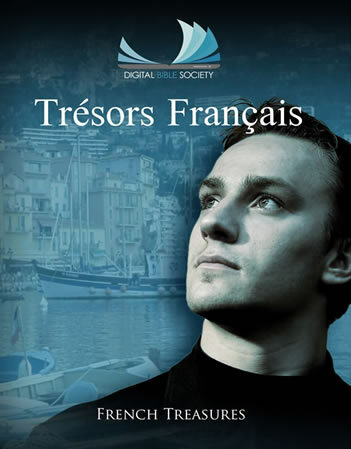 Like all, DBS Bible libraries, French Treasures is free and free-to-copy. You can download it here or order it on an SD-chip or DVD from our store.